Studies show what fitness trackers do well and what they get wrong. Given that so many are getting into wearable tech, you may have already used a fitness tracker or a smart watch by now too. The surging popularity of smart watches, of which 71 million were sold in 2018 alone, represents the synthesis of smartphones, fitness trackers, and wearable tech in one convenient, if albeit expensive, package that fits snugly around your non-dominant wrist. They aim to be at once a productivity tool, fashion statement and a means to take control of your health. But regarding the latter, research questions just how effective these devices truly are. Though most fitness trackers can do many different things, most people use them primarily as heart rate monitors during exercise. A study published in the journal JAMA Cardiology by researchers from the Cleveland Clinic looked at four popular wrist-worn heart rate monitors: the Apple Watch, the Mio Fuse, the Fitbit Charge HR, and the Basis Peak. The four devices did reasonably well and correlated with the true heart rate values between 80-90% of the time, with the Apple Watch and Mio Fuse performing slightly better than the other two. However, these devices seemed to do better when subjects were at rest and less well when they exercised, which is when most people want to use them. They also underperformed when compared to the Polar H7, a fitness tracker with a chest strap monitor. The Polar H7 correlated with the user's true heart rate 99% of the time, which was noticeably better than the other four. That difference might be negligible for the casual athlete, but professionals who need accurate heart rate data may need to invest in the chest strip accessory for truly precise measurements. 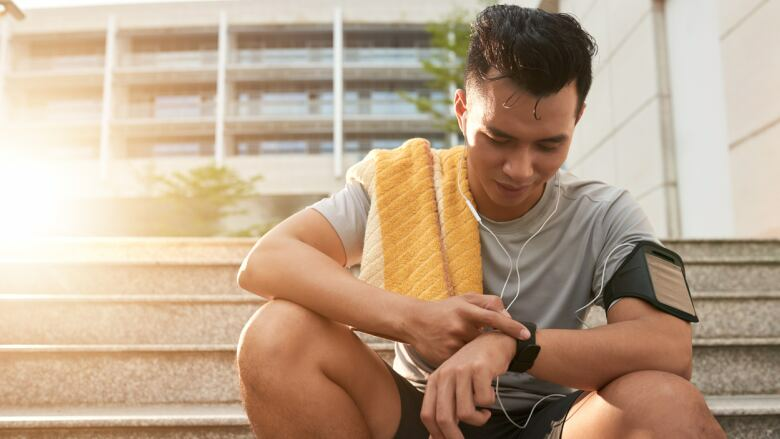 While fitness trackers started out as heart rate monitors, they have evolved to offer up a number of other functions; chief among them is the ability to estimate energy expenditure during exercise, which could be useful for anyone trying to count calories to lose weight. A team of researchers from Stanford University School of Medicine tested seven different devices: the Apple Watch, Basis Peak, Fitbit Surge, Microsoft Band, Mio Alpha 2, PulseOn and the Samsung Gear S2. They found that the devices measured heart rate reasonably well and within an acceptable error range of less than 5%. But when it came to energy expenditure, they found that all the devices performed poorly. Error rates ranged from 27% for the Fitbit Surge to 93% for the PulseOn with all other devices falling in between. Similarly, a 2015 systematic review of the evidence found that popular fitness trackers like Fitbit and Jawbone did well as step counters but tended to underestimate energy expenditure, while overestimating total sleep time and sleep efficiency. These inaccuracies likely stem from the fact that heart rate can be directly measured whereas other factors, like calories burned and sleep status, have to be calculated using software algorithms that may not apply to everyone. The big question though is whether these devices can be used to monitor your heart and diagnose heart disease. The Apple Watch has a new medical device accessory; a wristband that is able to generate a digital tracing of your heart rhythm. It was supposed to be a breakthrough in diagnosing atrial fibrillation, an often symptom-free heart arrhythmia that increases your risk of stroke. When it was compared to a standard electrocardiogram (ECG) it performed well in a small group of patients that were known to have the disease. But when it was tested in a larger sample of 1617 patients, of whom only 4% had atrial fibrillation, its reliability suffered. When it diagnosed a rhythm as normal, it was generally right and correctly identified normality 98% of the time. But when it labeled someone's heart rhythm as being atrial fibrillation, it was correct only 8% of the time, which means that it was calling many, many false positives. Furthermore, while we may intuitively think that fitness trackers promote health, the 2016 IDEA trial found that adding wearable tech to lifestyle advice did not result in more weight loss; paradoxically, it resulted in slightly less weight loss. Nor is it clear that they improve health outcomes in patients with vascular disease. The problem may be that people simply stop using these devices as the enthusiasm and novelty wanes with time — even in a motivated group of users, over half stopped using their devices within a year of buying them. Fitness trackers and wearable tech might help you make healthy changes in your life but they also have their limitations, at least for now. Christopher Labos is a physician who writes about medicine and health issues. He co-hosts a podcast called The Body of Evidence and tweets at @drlabos. A pioneer brain-boosting implant might never have us asking again: "What's that thing called??"